SS Greenlight Racing will bring chassis 704 to Las Vegas Motor Speedway for the running of the DC Solar 300. Kentucky Speedway was the previous 1.5-mile track where Boyd ran this chassis. He finished in the 24th position. SS Greenlight Racing would like to thank Kickass Beef Jerky for their continued support of Spencer Boyd Racing and for returning as an associate sponsor this weekend. The team would also like to welcome new associate sponsors: Grann Mingus Entertainment Group with Right on Que Radio, Prestige Promotions of San Diego, and TNT Rocker Promotions for Las Vegas Motor Speedway. These agencies all specialize in managing the advancement of future stars in entertainment, specifically within the music industry. If interested in local talent in the San Diego, Los Angeles, or Las Vegas areas make sure to check out the members of these quality agencies. In addition, SS Greenlight Racing would like to welcome new partner, OD:30 on board this weekend. OD:30 is a footwear company that specializes in military boots. Their footwear is also ideal for law enforcement, emergency responders, or anyone who is looking to purchase exceptional footwear that is up to the challenge when it’s Time to Rise™. TV/Radio: The DC Solar 300 from Indianapolis Motor Speedway can be seen live on Saturday, September 15th on NBCSN. Race coverage will begin at 5:00 p.m. EST, and the event can also be heard live on PRN Radio as well as SiriusXM Radio, channel 90. 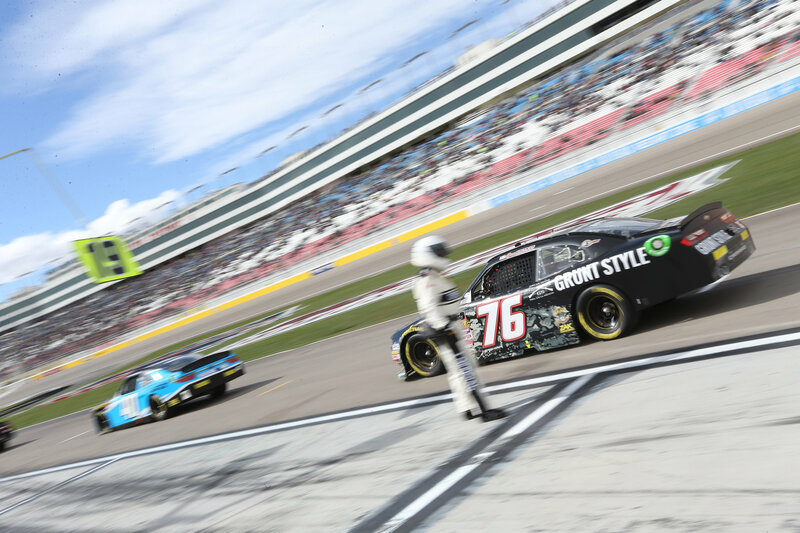 About SS Green Light Racing: As one of the most tenured teams in all of NASCAR, SS Green Light has been a developmental hub for drivers looking to climb the ranks. Led by Owner, Bobby Dotter, the team has fielded entries in either the NASCAR Camping World Truck Series or the Xfinity Series competition since 2001. Coming off a successful 2017 Xfinity campaign, SS Green Light looks to build further momentum with their two-car program.